For over 20 years Cumulus Media’s WJOX has served the Birmingham market with its favorite drug: SEC football. The past few years have seen changes externally and internally, but those changes have not caused Alabama’s top sports station to waiver. JOX continuously makes the moves to provide their audience with the content they crave, with a variety of options to keep JOX content in the ears of its audience. The Alabama market may be perceived as limited to strictly Alabama and Auburn football, but JOX gives its listeners a buffet of sports content to enjoy. The station provides central Alabama with three stations that combine to broadcast 600-700 games a year across a plethora of sports and competition levels, from local high school games to pro ball. Each station presents different takes with different partnerships. JOX 94.5 is the flagship station broadcasting live and local with the premiere shows: JOX Roundtable, 3 Man Front, The Paul Finebaum Show, and JOX Primetime, a live evening show, something that is rare for a market the size of Birmingham. JOX 2 on 100.5 serves Birmingham and Tuscaloosa with JOX content along with ESPN Radio content such as “The Stephen A. Smith Show” and “The Dan Le Batard Show.” JOX 3 690 AM hosts Fox Sports and “The Jim Rome Show,” among others. Between the three Stations, JOX holds rights affiliations with the likes of ESPN, the Tennessee Titans, the Atlanta Falcons and Braves, UAB and many others. That is a lot of content. But it’s the passion of the fanbases, for better or worse, that drive the market. 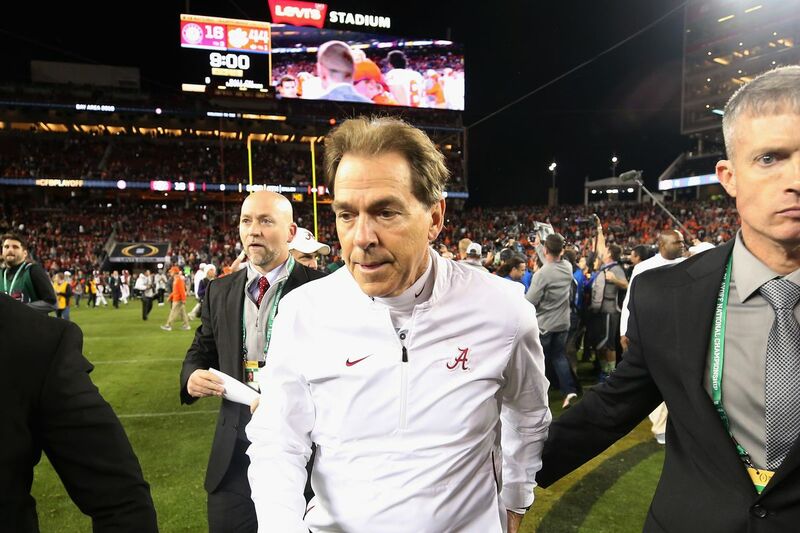 Haney says while listeners want their teams to be successful, there is payoff in adversity, citing coach firings, athlete controversies and unexpected losses, such as the one Alabama suffered to Clemson in the national championship, as some of the most listened days. “Coaching changes and championship losses fire people up more than anything I’ve ever seen,” he said. Radio has fought off new media stepping on its turf for over a century, and sports radio has been no different. As impressive as radio’s longevity is, it is not always the battle with the many media outlets that define radio’s victories, but rather how they intertwine and work together. An overwhelming variety of new media choices for audiences could have bred fear for radio stations, but embracing new media has been a strength of JOX so far. “You have to leverage relationships in this business to help each other because at the end of the day, while you’re all fighting for the same consumer, there are strategic ways you can help each other,” Haney said. Social media plays a big role as well, where talent can show a more human side of themselves to resonate with the audience. Haney said branding is everything, and the way you brand yourself off air is just as important as on. Those risks don’t just involve working with new media, but new people as well. 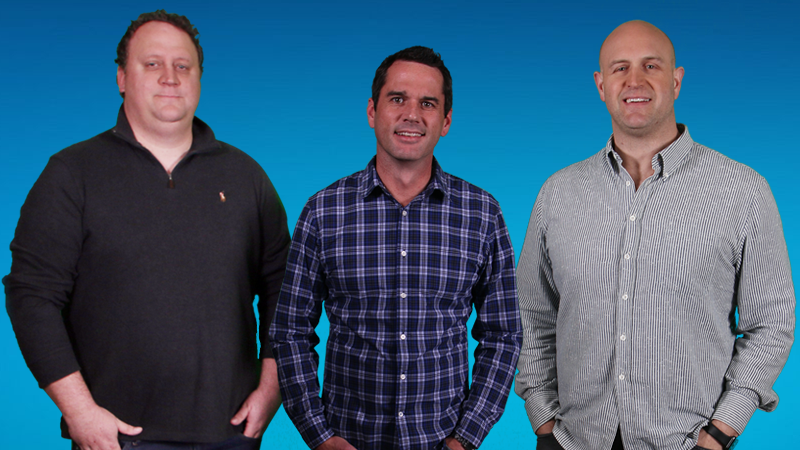 Early 2018 brought about a huge change when JOX’s well-established morning show The Opening Drive was replaced by 3 Man Front. 3-Man Front is Cole Cubelic, Aaron Suttles and Landrum Roberts. The show airs weekdays, 10 a.m. to 2 p.m. CST. Haney elevated his previous mid-day show, The JOX Roundtable, to morning drive after The Opening Drive’s exit. Roberts worked for JOX early in his career, producing and co-hosting a handful of shows, and after a lengthy break from radio, found himself on one of JOX’s premiere lineups. Suttles brings a decade’s worth of award-winning journalistic experience. He is also a beat reporter for The Athletic covering Bama football. Cole Cubelic is the flash hire of the group, having a working relationship with JOX for over a decade while building an impressive run with ESPN that began in 2011. The former Auburn offensive lineman has built a reputation for his honest, straight-forward style. The Opening Drive, hosted by Jay Barker, Al Del Greco and Tony Kurre, was a flagship show for JOX. The show’s cancellation shook up the station’s schedule and surprised many listeners. “Those guys are personal friends of mine that had a tremendous run and they’re as responsible for the success of this radio station right now as anybody,” Haney said. While 3 Man Front is one of the station’s three local offerings, JOX looks to Paul Finebaum for regional coverage of the SEC. JOX views Finebaum as family despite his show being broadcast from Charlotte, North Carolina. Paul has made an appearance on Mondays regularly for The JOX Roundtable, and The Opening Drive before that for close to a decade, and has shown his faithfulness to JOX while remaining an ESPN employee. Call-in shows, like Finebaum’s, are a staple in the sports radio business. Haney compares Paul’s show to one of America’s most famous bands. “Paul is Bruce Springsteen and his callers are the E Street Band, meaning Springsteen could do it on his own, but if you ever saw Springsteen and the E Street Band perform, you see that there’s a lot of really good players involved and Bruce will let his players each have a turn at the spotlight. Well, that’s kind of how Paul does his show,” Haney said. But in the busy culture of today, and with podcasting on the rise, many consumers miss out on live radio, or simply choose to download their entertainment for their convenience. Rather than fight the idea of a podcast-radio partnership, JOX has embraced the growing medium, using podcasts for a multitude of purposes. JOX’s main use of podcasts is taking the best segments to create a daily recap that lasts anywhere between 20 minutes to an hour, aptly naming this category of content JOX Extra. The idea being, if you miss a show, when you listen back, you get the best content all in one sitting. Haney said it is not realistic to expect listeners to sit and listen to a four hour show after they’ve missed it live. Haney said JOX Extra is a platform for hosts and producers to flex their muscles with more niche content. “It gives people a chance to talk about stuff they’re passionate about outside of what they just have to talk about,” he said. From golf to pro wrestling to movie reviews, the audience is there to consume these popular topics that are not necessarily strong enough to combat the lifestyle of SEC football in central Alabama. “Podcasting gives a great avenue to be authentic. We should be authentic on the air because authenticity creates loyalty, creates equity, with our listeners,” Haney said. Sports radio is on the upswing and stations like JOX are a big reason why, providing quality content to an important southeastern market. Haney said he sees great things on the horizon as long as JOX sticks to its gameplan. As for the future of the sports radio, Haney said the industry could go in a number of different directions, but will only continue its success if it stays flexible and keeps the audience in mind.